Ekrem İmamoğlu, who was elected mayor of İstanbul according to unofficial results in the March 31 local elections, has told media that managements of two Turkish football clubs, Fenerbahçe and Beşiktaş, were “threatened” by a minister and were ordered not to allow him to come to the teams’ matches over the weekend. İmamoğlu was elected from the ranks of the opposition Republican People’s Party (CHP). Yet, he has not yet been given the mandate due to Justice and Development Party’s (AKP) objections to the election results. He attended a game between Beşiktaş and Başakşehir on Saturday and another one between Fenerbahçe and Galatasaray on Sunday. 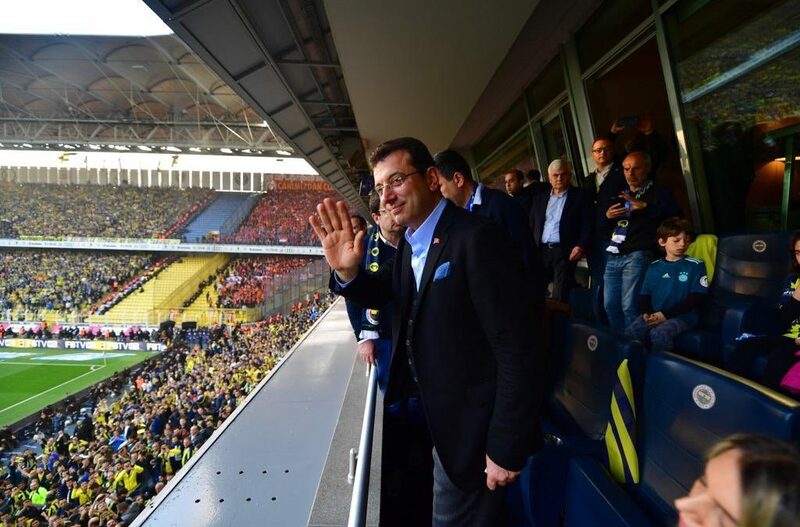 During the games, both Beşiktaş and Fenerbahçe fans chanted slogans in favor of İmamoğlu, calling on the authorities to give him the mandate to govern.